Home / Uncategorized / Why Make a Popular Short Film? What Are the Advantages? 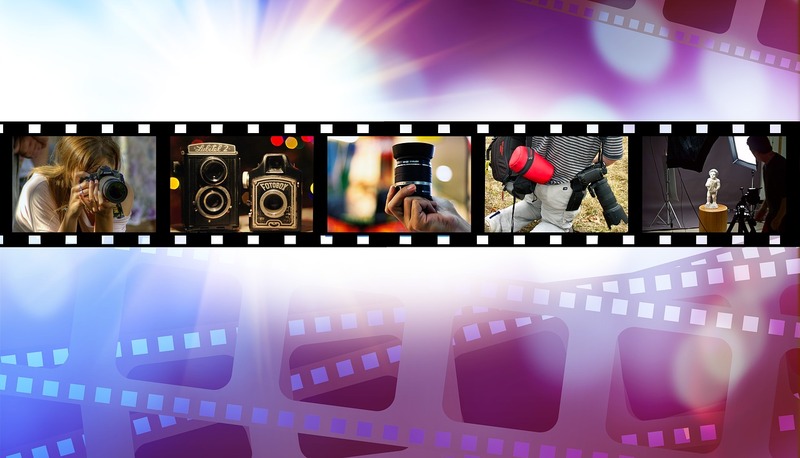 Short films are extremely popular, both with amateur and professional filmmakers, as well as the viewing public. As a filmmaker there are some definite advantages to trying your hand at short films; especially if you are just getting started and hoping to make a name and a future for yourself in this industry. Let’s take a brief look at what some of those advantages are. Anything creative is fun to do, and making a short film is no exception. Sure, it won’t be easy if you are just starting out and it’ll take some planning and dedication, but really every step of the process is not only a new learning experience, but you’ll feel a real sense of satisfaction as you accomplish each phase of the filmmaking process. This is probably one of the biggest drawcards to making a short or very short indie film. You don’t need a huge Hollywood budget. In fact, if you plan it well, you can achieve a good quality film very much on the cheap. It will still require some finances to get it off the ground and complete it, but if you have very little money to work with, you can always try fundraising on sites like Kickstarter or Indiegogo. People like investing in things like films, as it makes them feel a part of the whole creative process. What is one of the biggest advantages of a short film from the audience perspective? It’s length. The modern world is a very busy and hectic environment. Plus, everyone’s attention span seems to run on a vastly reduced level these days; possibly due to the popularity of social media and so many distractions. The end result is that people may feel like they can spare the time to watch a short film or two, rather than a 2 plus hours epic adventure. Many short films are anywhere from only 10 minutes to 30 minutes in length, so it doesn’t consume much of anyone’s time to watch them. The other advantage of really short films is they can easily be uploaded and watched on sites such as YouTube. There are quite a few components to filmmaking, and that even applies to short films. Maybe you might do a bit of everything for your first film; being an actor, director, screenwriter, producer and editor all rolled into one. This is actually a good thing, as you will gain very valuable filmmaking experience on all its levels. This will also serve to let you know what you are really good at, and what roles are perhaps best left in the hands of others. Because of the popularity of short indie films and the growing number of filmmakers, film festivals and other areas of exposure for your talents are everywhere. We’ve already mentioned online mediums such as YouTube, but the very best way to start making a name for yourself and your filmmaking is to enter as many film festivals as possible. Once you start to get recognised for your cinematic talents, opportunities may come knocking. But those in the big leagues first need to know you exist, and short film making for indie film festivals is a fantastic launch pad for careers in this industry. Not only could you make a lot of money from your skills down the track, even in the shorter term there is the possibility of generating income from short films. If your YouTube channel gets popular, for example, there is advertising revenue to be gained on this platform. And YouTube is just one video platform out of many these days. You might even get some job offers to work on a music video, or some other independent video productions for advertising or corporate presentations. This is all paid work, gives you even more experience and exposure, and could help launch your career into the big leagues. No matter what your aim when it comes to making short films, the important thing is to just enjoy the entire process. Treat it as a fun hobby at first without placing major expectations upon yourself. Do your best with it, but always remember that it’s not life and death. Films are really brought to life with the inclusion of relevant music. The easiest way to acquire music for your short films on a budget is through music sync licensing websites such as the Songtradr platform. You can check out my catalogue of available music by clicking on the Songtradr logo below. If you have anything to add, please leave a comment. 4 Responses to Why Make a Popular Short Film? What Are the Advantages? you are so right about about short films, the fact there is less of it to watch and some of us having time constraints. It must be fun making these smaller movies. Nothing better than being creative on film! I like doing the occasional video for my youtube channel, however I think these short films are a bit more involved than a basic 2 to 3min youtube video. Good article! Hi Sharon, thanks for stopping by and leaving a comment. YouTube videos are fun to do. they’re kind of like a short film. That is a good point that the modern world is very busy and hectic. That is something I would want to take a break from for a little bit. Maybe it would be good for there to be more directors that make short films that I could watch. Short films are good in a time poor world. I read a lot of books and quite like all the shorter eBooks out there, as they are quick to read. Same with films.